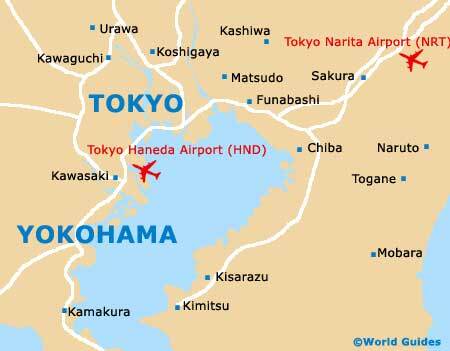 Tokyo is awash with museums, institutions and exhibition venues. There are so many to choose from within the city of Tokyo, that you may find it hard deciding which museums you have time for. Popular choices include the Sumo Museum - where you will gain an insight to the culture surrounding the sport, the National Science Museum - with its quirky and rather fascinating assortment of interactive attractions, and the Edo-Tokyo Museum - which features scaled down models of some of finest buildings in Tokyo city, both past and present. Information about Tokyo's main museums is displayed here. The fascinating Tokyo Advertising Museum documents the timeline of Japanese creativity and commercial design. The building and its contents are maintained by a foundation established in honour of Hideo Yoshida, who was the fourth president of the Dentsu Advertising Company. There is no information in English, but that in itself is a test on the power of visual communication. Lovers of architecture will greatly appreciate this modern building, which is poised dramatically on its famous pillars. Set in a large green expanse, a model of Nihonbashi separates Tokyo during the Edo period from modern Tokyo. Aspects of everyday life are portrayed within the museum, together with impressive models of the Edo Castle and the Kabuki Theatre. 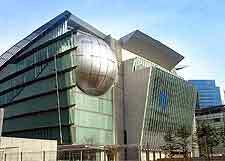 Japan is famous for its sport of sumo wrestling and this museum is a dedication to all that surrounds sumo wrestling. You will find ceremonial aprons on display, as well as sumo costumes and examples of calligraphy by famous wrestlers. Cuttings of hair and sumo dolls add an extra layer to this fascinating museum. 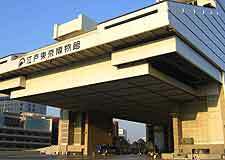 The museum itself can be found next to the sumo stadium. 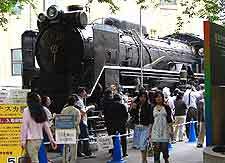 The National Science Museum in Tokyo is suitable for all the family and split into various themed zones. Exhibitions include the Animals of the Earth, the Exploration of Space, the Mysteries of the Dinosaurs, the Evolution of Life, and also the Natural World. An outdoor exhibition area is particularly memorable, featuring a rocket launcher, restored steam locative, and life-size model of a giant blue whale. Recreating life within the downtown area of Old Tokyo in the Edo period, the Shitamachi History Museum features a range of hands-on attractions. Particularly popular are the various authentic shops, which include both a sweet shop and a merchant's shop, while for others, the costumes and dressing-up areas are a firm favourite.